A new lettering style was introduced in March 2006. 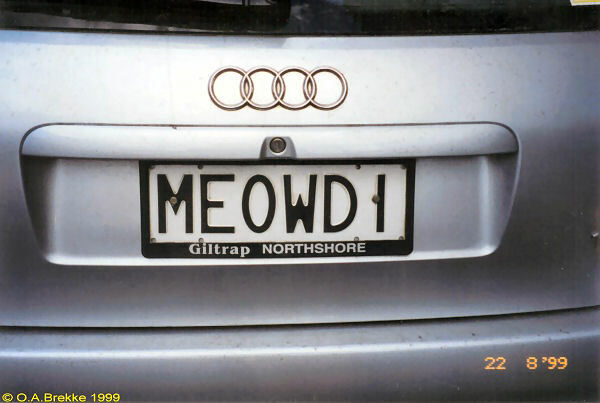 MEOWDI Personalised series since 1988. 1988-2006 plate style. 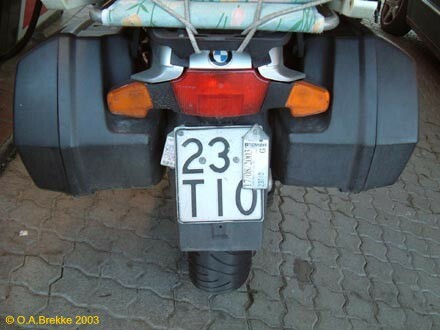 23/TIO Motorcycle series. 1988-2006 plate style. No coding. 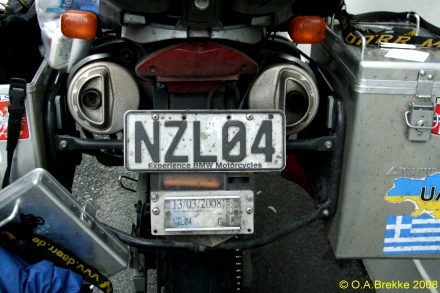 NZL04 "Caption" personalized motorcycle plate. Since 1998. 1998-2006 plate style.